With the release of Book Creator 4.3, you can now export images, text, audio and video from other apps directly into Book Creator. We have other articles addressing how to specifically work with different types of media, but this article demonstrates how you can turn on sharing from other apps and send content directly to Book Creator. Pick an app, for example the Photos app, and choose something to share. Find the More icon (it has 3 horizontal dots) and you'll see a list of the apps on your iPad that are available to share to. You'll need to toggle on Book Creator. From then on, you'll see it listed whenever you attempt to share media from other apps. In the example below, we're in the Dropbox app. In the past, you had to save images and video to the camera roll before you could add it to Book Creator. Now, you can share directly to Book Creator. Choose an item that you want to share and tap the Export/Share icon. In most apps it will look like a box with an arrow pointing upwards out of it. Note: some apps will share directly to Book Creator - you'll see the app icon listed in the top row of sharing..Others require you to tap the 'Open in...' icon first - you'll find this on the second row. 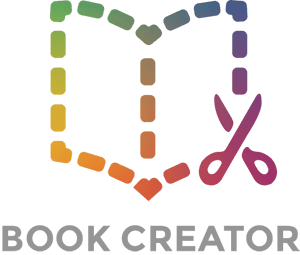 Tap the Book Creator icon and you'll get a message on screen that says 'Sent to Book Creator'. Now, when you work on a page in Book Creator, you can access any media that you've shared with the app by tapping + in the toolbar and then choosing Shared from the tab at the bottom. Shared items will stay in this list until you add them to a page.